Weekdone is great for when you are always online, in your office, home office or at a coffee shop. But being constantly alert and available has its own disadvantages, including overworking and eventual burnout. This is why it is necessary for you to take time in your week to disconnect, unplug and return to your natural offline state. 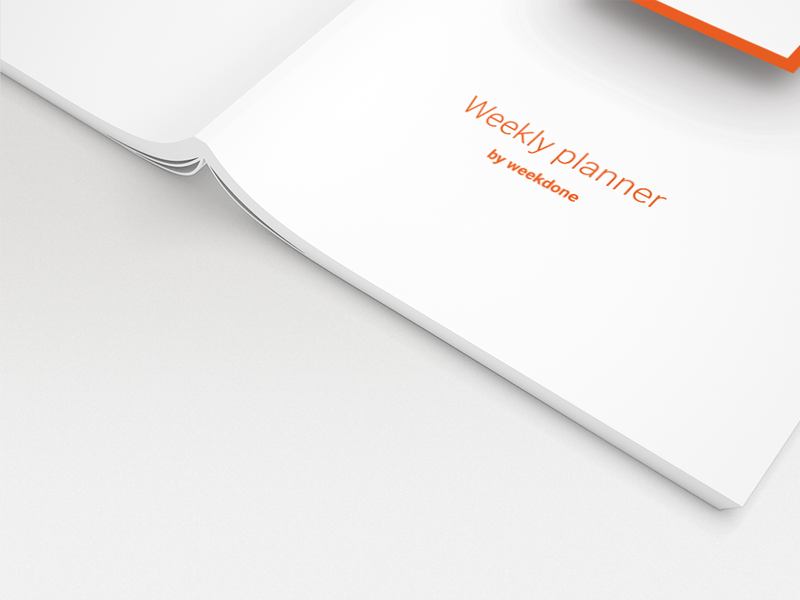 Though being offline does not mean the end of being productive – with the help of Weekdone planner notebook. 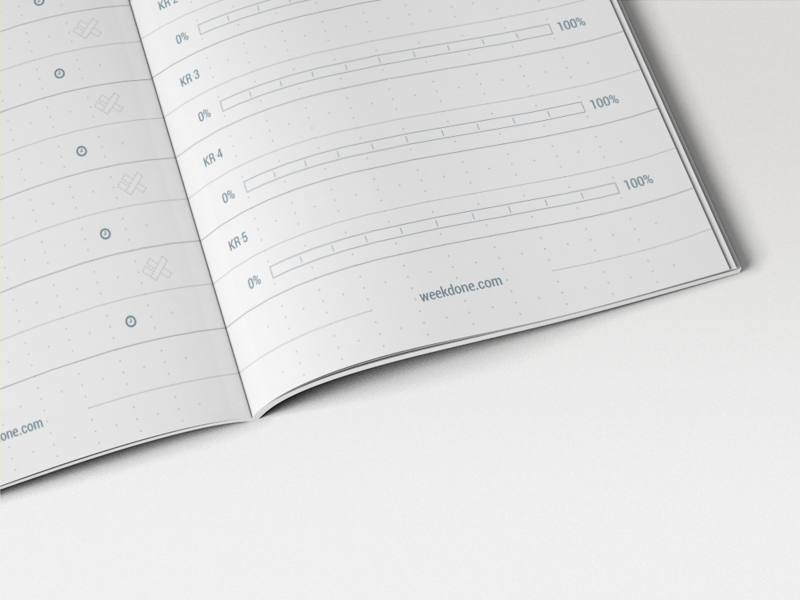 This notebook is your guide to achieving more by doing less. Over the years Weekdone has analyzed how the best companies and people get their jobs done. Now the best practice methods available in Weekdone web and mobile apps are condensed into a smart notebook for your offline days. It's free! Head on to https://weekdone.com/notebook to place an order for your own! 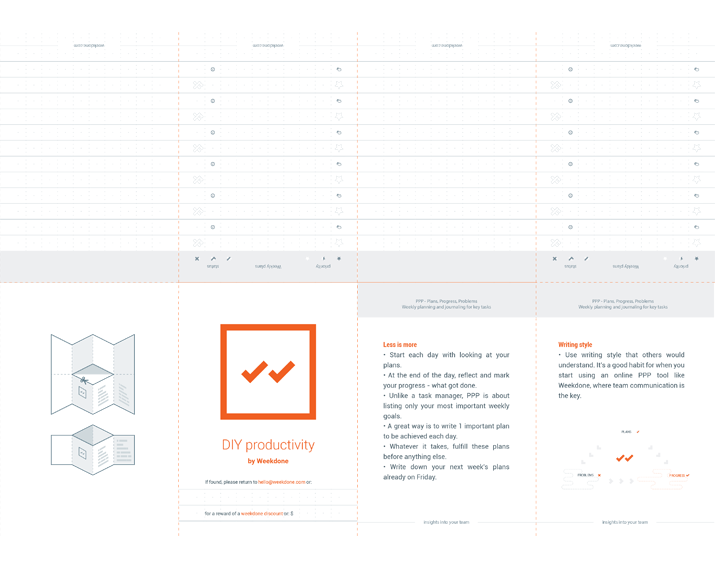 Our design team has also developed a Do-It-Yourself kit, free download and instructions for anyone to print, fold and be more productive! Remember to follow us on Twitter, Google+ and Facebook for all about PPP, productivity, okr and more!